Sam (played by Keir Gilchrist), an 18-year-old on the autism spectrum, takes a funny, yet painful, journey of self-discovery for love and independence. Jennifer Jason Leigh stars as his mother, Elsa. 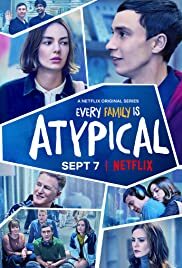 Atypical now streaming on Netflix.